You’ve all heard the joke about buses; you wait ages for one to arrive, then several turn up at once. For the vast majority of conservationists, however, awards tend to be more like telephone engineers; you wait years for one to arrive…and they never turn up at all. In this context, it is gratifying to witness so many people with Conservation Leadership Programme (CLP) connections bucking the trend, particularly in the first half of 2016. In recent years, CLP alumni have regularly picked up awards. Julie Hanta Razafimanahaka, Director of Madagasikara Voakajy, first joined this Malagasy NGO as a volunteer researcher on a CLP-funded bat conservation project. 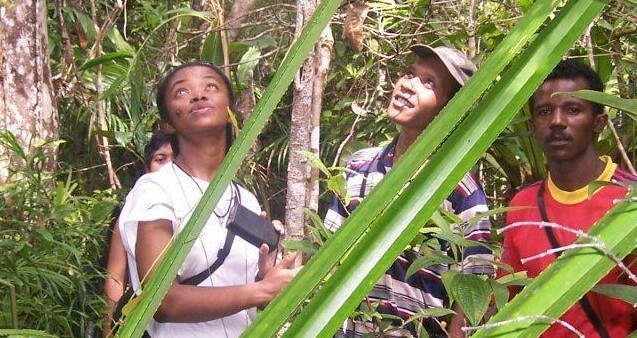 She quickly established herself as one of Madagascar’s most promising conservationists, a reputation cemented in her current role. Julie was the recipient of a 2014 Marsh Award, which recognises inspiring individuals who are having a profound impact in their chosen conservation sphere, and won the 2015 Young Women in Conservation Biology Award. Patricia Davis, another 2014 Marsh Award winner, co-founded ‘Community Centred Conservation’ (known as C3), whose ‘Dugongs for Life’ project received a coveted Conservation Leadership Award worth US$50,000. President and co-founder of Peruvian NGO ProDelphinus and recipient of three successive CLP awards, Joanna Alfaro Shigueto (2015 Marsh Award for Marine Conservation Leadership) has led the way in the development of sustainable small-scale fisheries and protection of marine wildlife throughout the south-eastern Pacific Ocean. Mirza Kusrini, another 2015 Marsh Award winner, has gradually metamorphosed into one of the leading authorities on amphibians in Indonesia, greatly increasing awareness in her home country about the importance of frogs and their role in the ecosystem. This year has seen CLP alumni positively showered with glittering prizes. 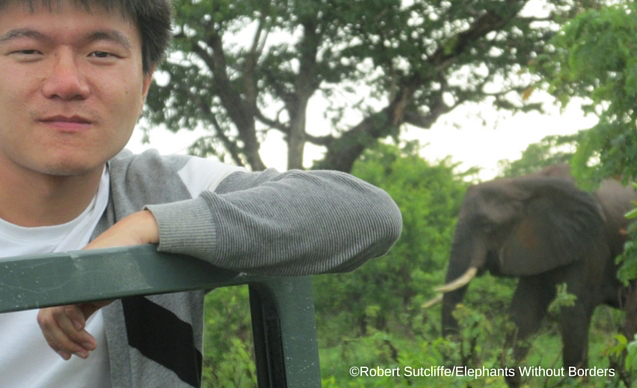 Yufang Gao, a dynamic young conservationist whose meteoric rise to prominence began with a CLP internship at the Wildlife Conservation Society (WCS) in 2008, is currently at the helm of an NGO in his native China, a country sorely in need of environmental enthusiasts. The year of the monkey is rapidly evolving into the year of the award ceremony for Gao, who has picked up a 2016 Marsh Award and National Geographic Society’s coveted Emerging Explorer award in quick succession. Uruguay’s Alejandro Fallabrino, winner of the 2016 Marsh Award for Marine Conservation Leadership, is a more seasoned campaigner with three successive CLP awards to his name. He has been making waves in marine conservation for nearly 30 years, and founded local NGO Karumbé, which played a key role in establishing his country’s first Marine Protected Area. Three CLP alumni – Gilbert Adum, Alex Rukhaia and Makala Jasper – featured among the winners of this year’s Whitley Fund for Nature Awards, affectionately known as the ‘Green Oscars’. Co-founder of SAVE THE FROGS! 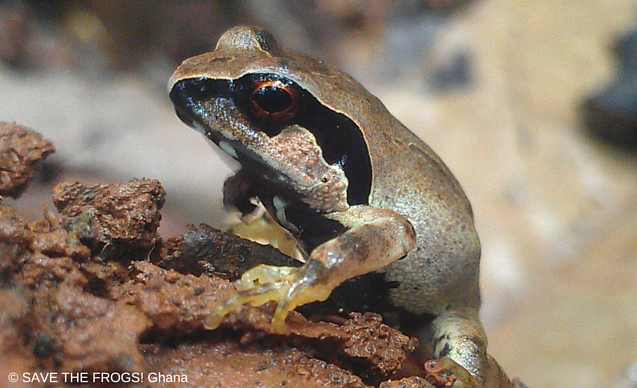 Ghana, Gilbert Adum was born into a hunting community, but broke the mould by dedicating himself to the conservation of endangered amphibians like the giant squeaker frog. Alex Rukhaia, the first Georgian ever nominated for a Whitley Award, is working with local communities in his home country to change attitudes to migrating raptors that are traditionally shot or captured for falconry. Co-founder and CEO of the Mpingo Conservation & Development initiative, Makala Jasper is at the forefront of efforts to conserve Tanzania’s forest and woodland habitats. 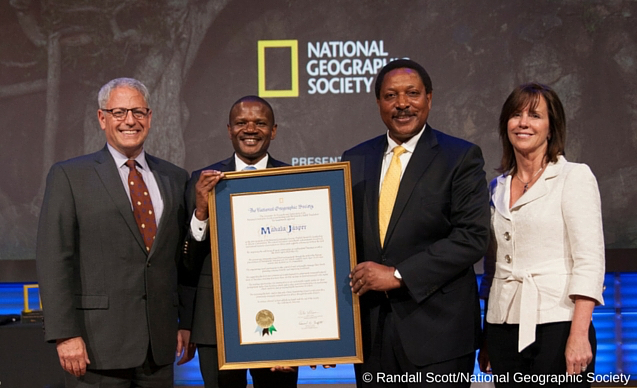 Makala barely had time to polish his 2016 Whitley Award before he found himself flying to Washington DC, where he collected the National Geographic Society/Buffett Award for Leadership in African Conservation. Appropriately enough, the size of the prize matched the enormous prestige attached to it, presenting Makala with a novel conservation challenge – how to squeeze the award into his carry-on baggage on the return flight. Geographically widespread and taxonomically varied, the projects that gave rise to all these awards underline CLP’s global reach and broad species remit – turtles in South America, snow leopards in China, raptors in Georgia, East African forests and West African amphibians are among the many beneficiaries of the individual dedication and collective commitment that these awards serve to highlight. Ultimately, it is this collective commitment that makes the difference. Makala and Gao would be the first to acknowledge the countless unsung conservation heroes who go above and beyond the call of duty without ever receiving the recognition their efforts deserve. That includes the local communities in whose hands the long-term fate of all these species and habitats ultimately lies. But these people need to be inspired in the first place, and it is individuals like Gao and Makala who provide the spark to ignite others’ enthusiasm and galvanise them into collective action. That is what makes them special. Conservationists do not need awards to tell them that they are doing a valuable job, and you would struggle to find anyone working in this field whose primary motivation was to garner plaudits. But these public tokens of esteem don’t just recognise the recipients. 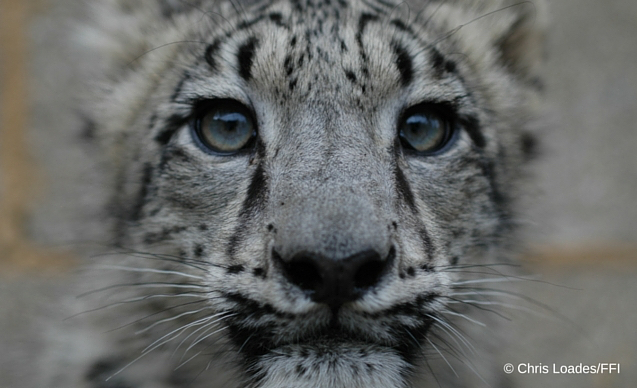 By putting conservationists and their projects in the global spotlight, they raise local, national and international awareness about the vital importance of doing this work in the first place. They also, it is worth noting, enhance reputations and open doors to new sources of funding, which in turn enables conservationists like Makala and Gao to do more of what they do best. In that sense, these awards are worth their weight in gold.